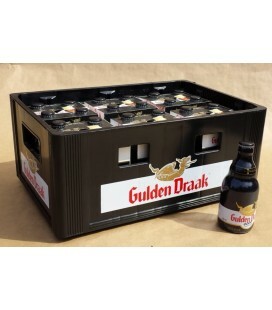 Gulden Draak 9000 Quadrupel Full Crate 24 bottles including the crate The unsurpassed Gulden Draak as dark tripel of 10,5% alcohol gets, after 25 years of growing success, quite an addition, the Gulden Draak 9000 Quadruple. 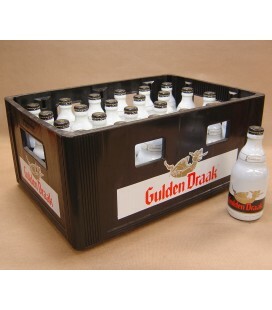 Gulden Draak full crate 24 bottles including the crate Gulden Draak is a high fermentation beer with secondary fermentation. For the secondary fermentation, wine yeast is used. 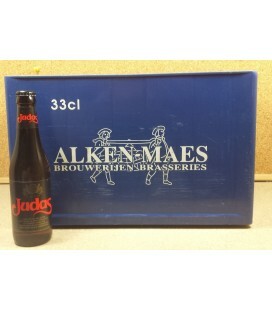 The white bottle, the black banner, the golden dragon and the red letters, constitute a stylish result that has no equal among the many Belgian special beers. 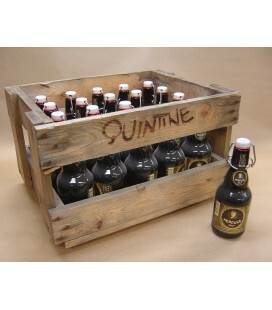 20 bottles including the wooden Quintine crate The only self-proclaimed ‘Belgian stout’ – 9% by volume – named after famed Belgian detective Hercule Poirrot and considered a World Classic. 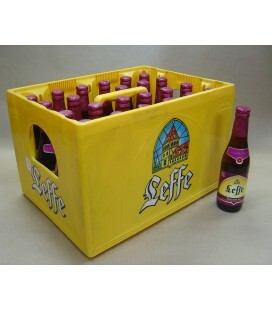 24 bottles including the crate Peach yellow colour with frothy, white head. 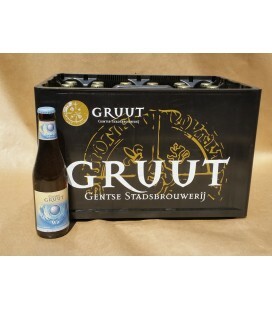 Fruity, sweet nose with stewed fruit, apricots, tropical fruit and spices. 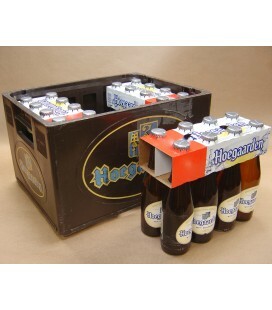 24 bottles including the crate Hoegaarden is "the" authentic Belgian wheat or white beer. 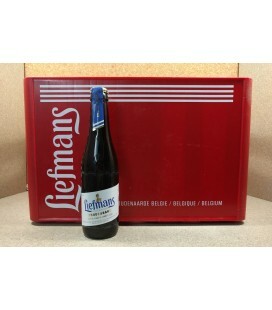 It has a unique and extremely complex brewing process whereby the brand is first top fermented and then is refermented within the bottle - ending up in a unique cloudy-white appearance. 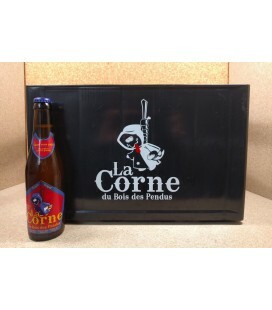 20 bottles including the crate Blonde with copper reflections, topped with a generous head, Hopus derives from a secret batch brewed for the marriage of Paul Lefebvre. 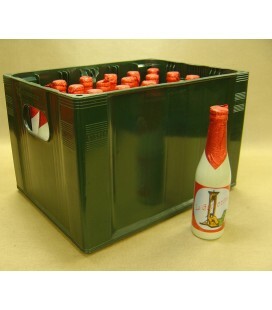 Judas full crate 24 x 33 cl Incl the crate A full bodied beer, bittersweet and delicious. 24 bottles incl the crate (2.10€ for the crate) Golden to bronze ale, robust with a large, creamy white head.Hints of vanilla mixed with citrus aroma. These caracteristics derive not only from the grains used but also from restrained hopping with styrians and the fruity nature (banana and vanilla) of the house yeast. 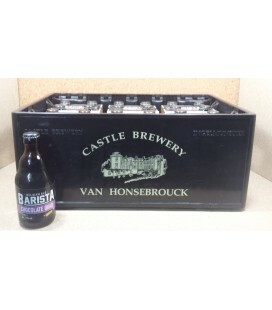 24 bottles including the crate Kasteel Blond fits into the rich tradition of Belgian blonde beers with its predominantly fruity aroma and a beautiful balance between hops and malts in the glass. This beer makes for an excellent thirst-quencher, however, it also has enough complexity to make it a degustation beer full of character. 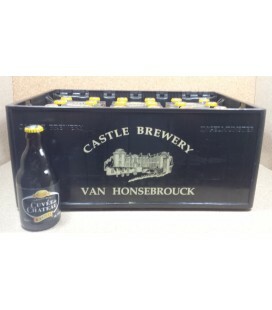 24 bottles incl the crate The taste of Cuvée du Château is comparable to that of a Kasteel Donker, reminiscent of port. This ‘premier cru classé’ was developed in the style of a quadrupel. 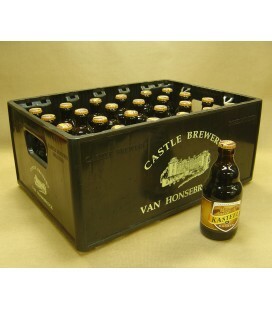 24 bottles including the crate asteel Donker is a member of the Belgian quadrupel family. 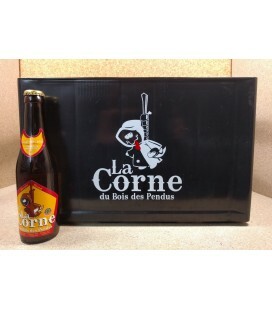 These are strong, sweet to bitter, dark brown beers where the malt predominates. 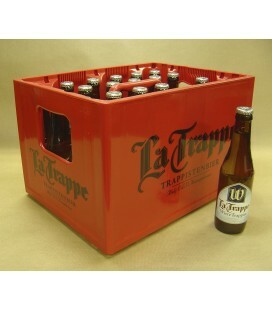 They were inspired by the beers of the Trappist brewers. 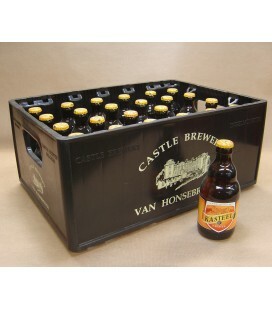 24 bottles including the crate Kasteel Rouge is a blend of Kasteel Donker and cherry liquor. 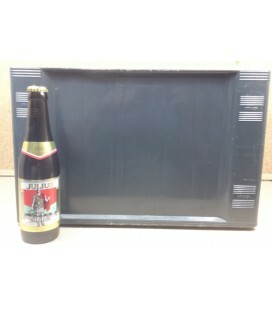 The mix of these two excellent products creates an exceptional soft beer with references to the dark mother beer. 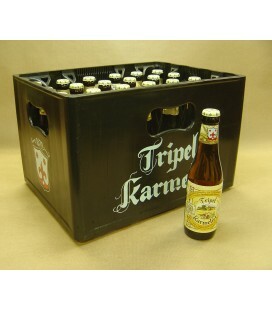 24 bottles including the crate Kasteel Tripel is a strong blonde beer in which both the bitterness and the fruitiness of the hops make their presence felt. The recipe has recently been changed to include a higher proportion of aroma hops. 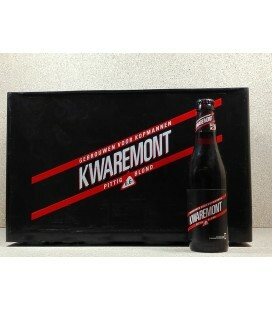 It has a subtle aroma with touches of fruit and impressions of malt, cloves and flowers. 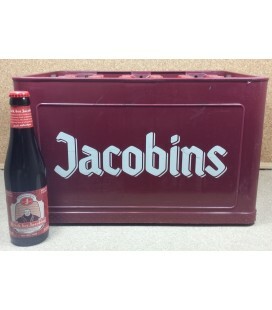 24 bottles incl the crate Kriek des Jacobins, spontaneously fermented ale matured for 12 months in oak wooden barrels (foeders) and blended with 20 % fresh cherries. 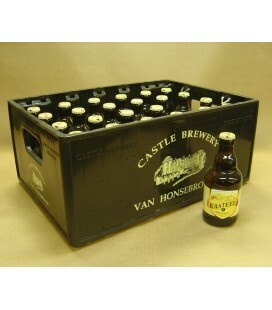 24 bottles including the crate Full-bodied Belgian Specialty Ale. Amber in color with beautiful foam and slightly sweet, seductive malt character. Rich, satisfying Belgian experience. Serve fresh at 6°C. 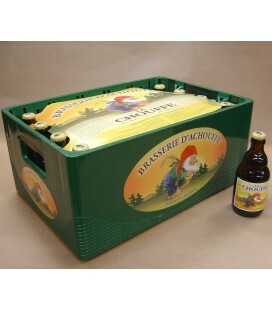 24 bottles including the crate "CHOUFFE is an unfiltered blond beer which is refermented both in the bottle and in barrels. 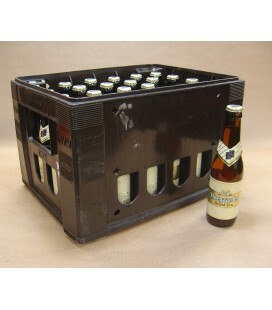 24 bottles including the crate Golden blond, multigrain beer with a very persistent, lacing head. 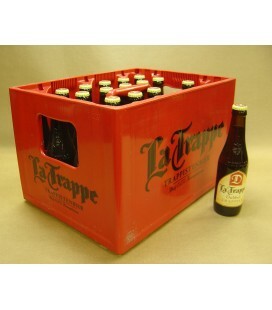 24 bottles including the crate La Trappe Blond is an agreeable, tingling ale with a slightly sweet, softly bitter and malty taste. Aftertaste: A lively aftertaste that combines sweetness with smooth bitterness. 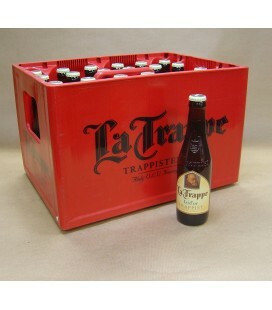 24 bottles including the crate La Trappe Dubbel is a classic, dark Trappist ale with a full malty, caramel-sweet taste and a subtle influence of dates, honey and dried fruits. Aftertaste: Sweet and lightly bitter. 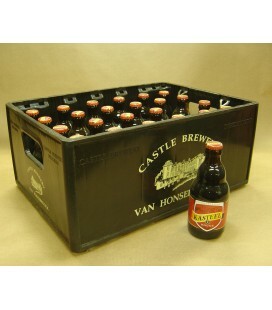 24 bottles including the crate Unfiltered, slightly sweet amber ale with a hint of caramel, which continues to ferment after bottling and has a rich, slightly bitter flavour, and a fruity aftertaste. 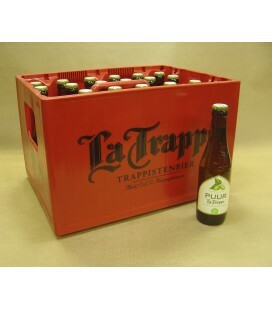 La Trappe PUUR - 24 bottles including the crate When brewing this Skal-certified ale, only high-quality, organic ingredients are used. 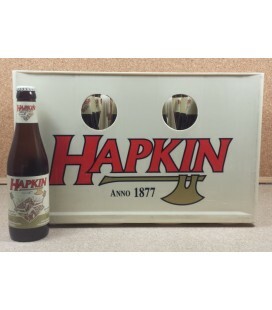 The result is a refreshing, continuously drinkable ale that tastes of hop with a dry and light malt flavour. 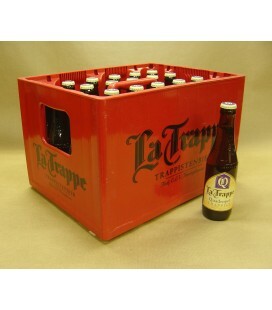 La Trappe Quadrupel 24 bottles including the crate Quadrupel is La Trappe’s heaviest ale with a stunning amber colour. 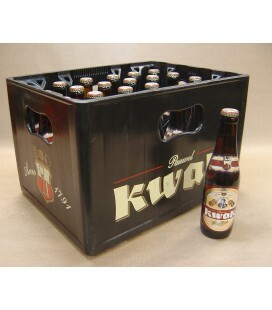 Its warm and intense flavour is rich and finely balanced. Malty sweet, slightly burnt, and pleasantly bitter with a sweet aftertaste. 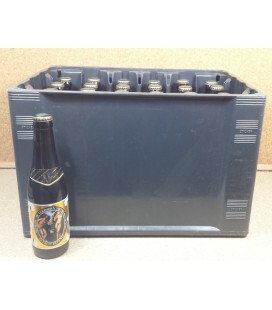 Quadrupel continues to ferment after bottling and offers aromas of banana, almond, vanilla and others. 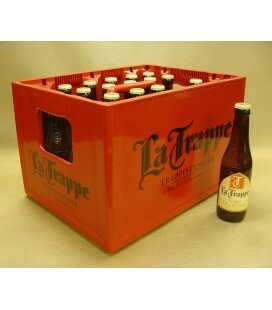 La Trappe Tripel - 24 bottles including the crate La Trappe Tripel’s aroma is slightly malty and estery. 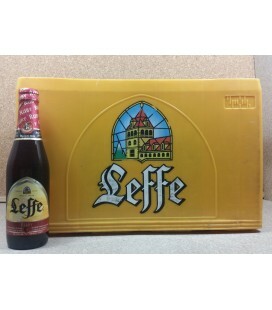 Despite its full, rich flavour, this out-of-the-ordinary ale still has a light and dry aftertaste with a touch of bitter finesse. 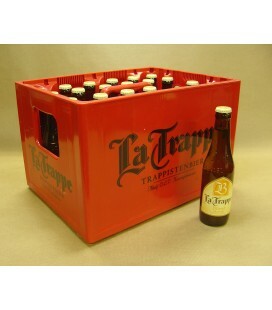 La Trappe Witte Trappist - 24 bottles including the crate La Trappe Witte Trappist is a drinkable and refreshing thirst-quencher. Smooth, malty, slightly sour and tingling because it’s carbonated. Dry and lightly bitter. 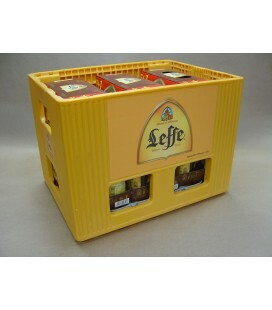 24 bottles including the crate (2.10€ for the crate) Leffe Brown is an authentic abbey beer. Both its deep, dark brown colour and its full, slightly sweet flavour can be ascribed to the use of darkly roasted malt, making every sip just as exceptional as the last. 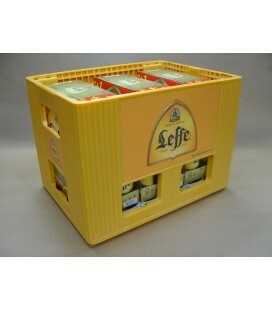 24 bottles including the crate Leffe Radieuse is an amber-coloured beer, rich in flavour and deliciously refined. 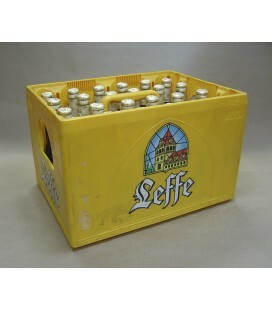 Its complex taste is particularly enjoyed by true connoisseurs. 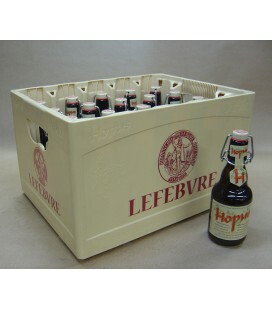 24 bottles including the crate Leffe Tripel is an authentic blond abbey beer full of character. 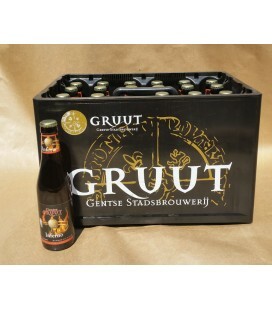 This blond, top-fermented and naturally hazy abbey beer surprises on various levels.